The death toll from mudslides and floods in Sri Lanka has risen to 151, the disaster management ministry said Sunday. 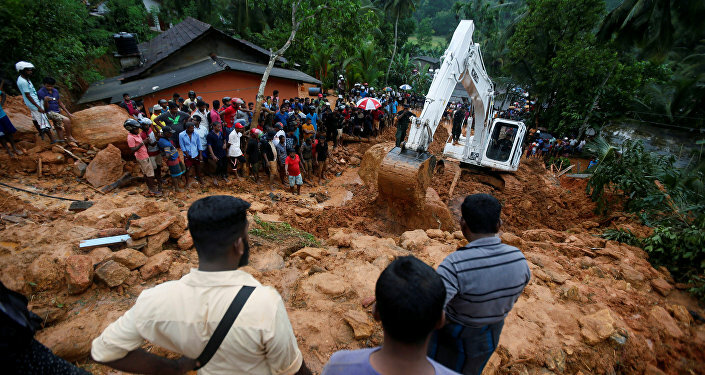 MOSCOW (Sputnik) — A total of 151 people have died and 111 are missing in Sri Lanka after heavy rains triggered floods and mudslides on the Indian Ocean island, according to the ministry. "151 Deaths and 111 missing reported," the ministry’s Disaster Management Centre (DMC) said in a fresh situation report. More than 430,000 people have been affected, according to DMC. Over 100,000 were forced to flee to safe locations. The emergency is reportedly the worst since 2003 when a tropical cyclone swept through southwest Sri Lanka, causing flooding and landslides that killed 260 people and destroyed almost 25,000 homes.